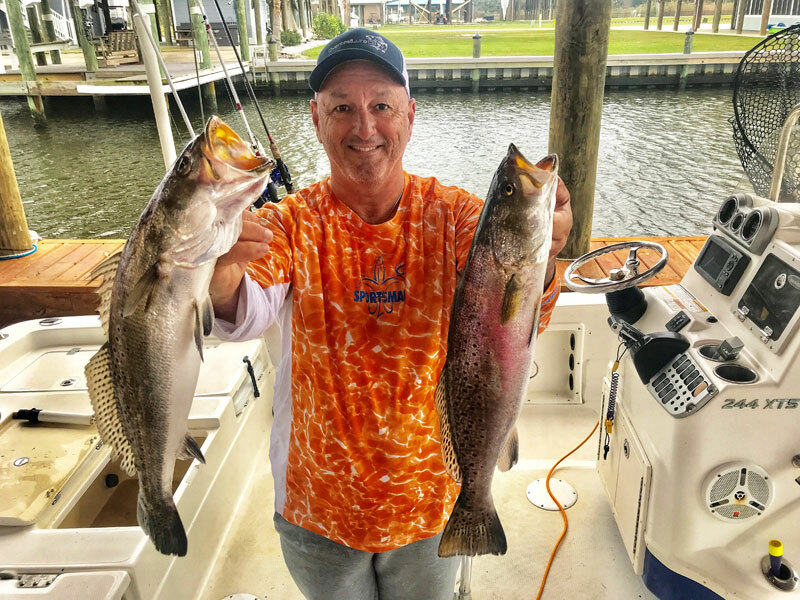 Tommy Vidrine is catching speckled trout in places you would never dream of fishing in the winter. 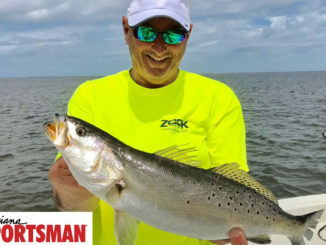 But the proof is in the pudding – and during the last three months, the Sportsman’s field reporter has been hammering specks along the coast in areas he normally fishes in the spring and summer. Have the specks actually been in these spots all along, and it’s just that nobody ever fished for them? Who knows, but Vidrine decided to make a move when fishing along Highway 1 went south. Maybe they were there all along. 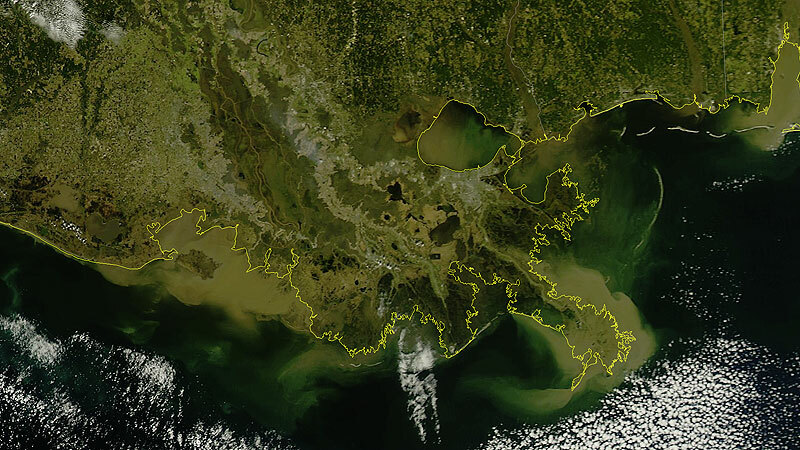 Maybe the loss of habitat in the Barataria Basin is pushing them out to the Gulf in the winter. Or maybe it’s global warming …. We don’t know — but the fact is Vidrine is reeling in big specks from places he usually reserves for spring and summer – and lots of ‘em. And it’s not just limits — Vidrine is consistently reeling in big, healthy fish in the 2- to 3-pound range. Most of the catches are coming on artificial swimbaits, but he keeps some live shrimp on standby just in case. 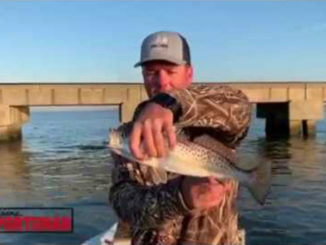 “It seems like when the water clears, up they prefer live bait,” he said. He’s not sure why they will hit artificials one day and won’t touch them the next, but when they do hit on plastics, he’s been catching them on an Overcast Lure’s Swimmin’ Shad on an 1/8-ounce jighead. “My favorite colors are the salt-n-peppa for clean water, and the glow dog for muddy water,” he said, noting he uses a weedless jighead to help prevent getting stuck in the rocks. Fish right on the rocks Vidrine’s been finding fish at the Caminada Pass rocks, Bayou Rigaud rocks and the Fourchon barges. 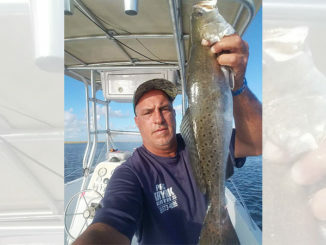 “The rocks hold heat, especially when the sun’s out, and the fish stay real close to them,” he said. Fish four hours into the incoming tide This winter, with unusually high rainfall and river levels, Vidrine has been catching most of his fish after the tide has a chance to move cleaner, saltier water in. Pick your days Vidrine waits till the wind dies down and the water clears up to fish. On a north wind, he’ll fish in the Gulf and on a south wind he’ll fish the back side of Grand Isle.